But that’s not the whole story, and its lessons aren’t really about openness. Instead, it teaches us about the importance of investment and network effects. NABU sprang from the mind of Canadian entrepreneur John Kelly, who realized that cable television networks were uniquely suited to high-speed data transmission. The service allowed a home computer to connect to a remote software library and, in principle, play games, shop, bank, and do email. And apparently it could do all that at speeds up to 6.5 Mbps—even more than Chairman Wheeler claimed in his recent Wired article. Not too shabby. NABU first launched in Ottawa in 1983 and Sowa, Japan and Fairfax, VA in 1984. By the time it went out of business it had reached agreements with cable companies in 40 other regions. As it turned out, the world wasn’t ready for NABU, and it failed in 1986. Analyses of NABU, however, do not point to issues of openness as the cause of death. 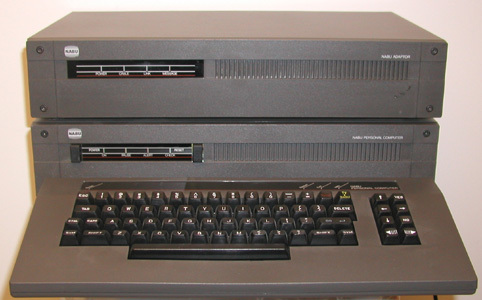 After all, other computer networks in the early 1980s that relied on the telephone network also failed. Instead, post-mortems point to issues we know are important in network industries: network effects and investment, or, rather, the lack thereof in both cases. As has been written ad nauseam, the Internet is a two-sided (actually, multi-sided) platform. In order to succeed, it must attract both users and applications. In early stages, when uses and users are scarce, it can be difficult to get anyone on board. The presence of indirect network effects makes it worse, since the benefit from each new user or application is greater than the benefit that accrues just to the new subscriber or developer. That is, a new user benefits by being able to access all the available content, but the entire network benefits due to increased incentives to develop new applications. The new user, however, does not realize all those benefits, meaning that adoption, at least in the early stages, may be artificially slow. Early commercial data networks faced precisely this problem. Why would someone pay to go online if there were nothing to do when he logged on? In order to subscribe to NABU, consumers paid not just a monthly fee, but also had to buy or lease a $299 NABU personal computer. Data networks tried to induce consumers to subscribe by making collections of software available. In the 1980s, however, most commercial data networks just could not provide enough of an incentive to attract or keep subscribers. Another reason for its failure appears to have been the inability of the then-existing infrastructure to fully deliver on NABU’s promises. Cable TV systems were not built to handle much upstream traffic—an issue they still face today. Upgrading the cable infrastructure for two-way communication required significant investment. Competition also made survival difficult for NABU. NABU faced direct competitors in the form of other data networks like AOL (founded in 1985), Prodigy, and the dominant firm, Compuserve. Additionally, to the extent that consumers would sign up to play games, NABU also faced competition from packaged software games and gaming consoles, and faced the same over-saturation of the market that led to the great video game crash. It even faced potential competition from The Games Network, a firm that was developing a system that used cable networks to distribute video games but failed to get off the ground. Openness is a key part of the Internet. It just wasn’t a key part of the NABU story. Instead, it reminds us of the importance of network effects, the economics of multi-sided networks, and network investment. Unlike the 1980s, these are now working together in a virtuous cycle favoring innovation. Let’s make sure any new rules don’t change that. Zbigniew Stachniak, “Early Commercial Electronic Distribution of Software,” IEEE Annals of the History of Computing 36, no. 1 (2014): 39–51, doi:10.1109/MAHC.2013.55. Stachniak, “Early Commercial Electronic Distribution of Software”, n. 21. Stachniak, “Early Commercial Electronic Distribution of Software” Table 1.